A parliamentary report of 1777 recorded a parish workhouse in operation at Llandderfel with accommodation for up to eight inmates. County of Merioneth: Llandderfel (2), Llanfawr (3), Llangower, Llannwchyllyn (2), Llanycil (4). The population falling within the Union at the 1831 census had been 6,654 with parishes ranging in size from Llangower (population 412) to Llanycil (2,359). The average annual poor-rate expenditure for the period 1834-36 had been £2,891 or 8s.8d. per head. Bala first workhouse site, 1899. 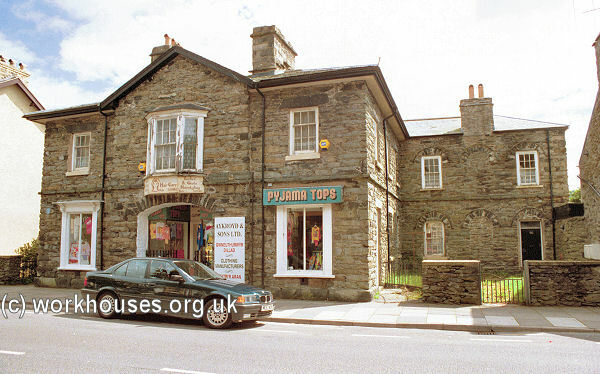 It had a T-shaped entrance block facing onto the High Street. To the rear was a two-storey octagonal hub with accommodation wings to each side. A large rectangular block stood towards the rear of the site. Bala entrance block from the north-west, 2000. 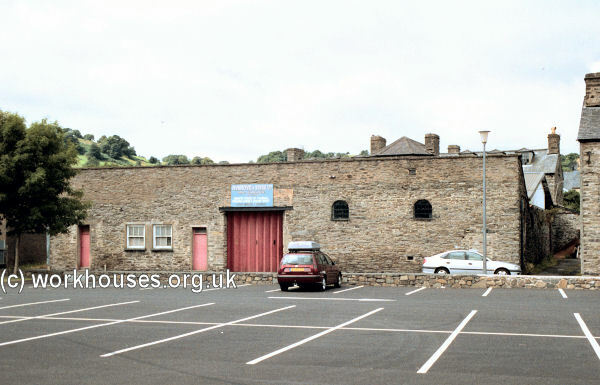 Bala hub and west wing, 2000. Bala from the south-east, 2000. In 1875, the Bala Board of Guardians that decided that the old building was no longer satisfactory. Perhaps this was because the original buildings could not be expanded, or it was felt that a less central site was desirable for the establishment. A new and larger workhouse was erected on a site to the west of the town on the north side of Mount Lane. 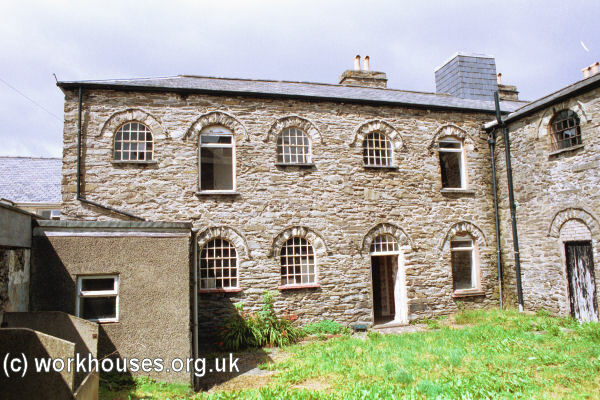 Designed by Mr WH Spaull of Oswestry, the building contract for £2,250 was placed with Robert Roberts, mason, and Robert Roberts, joiner, of Bala. Bala second workhouse site, 1899. 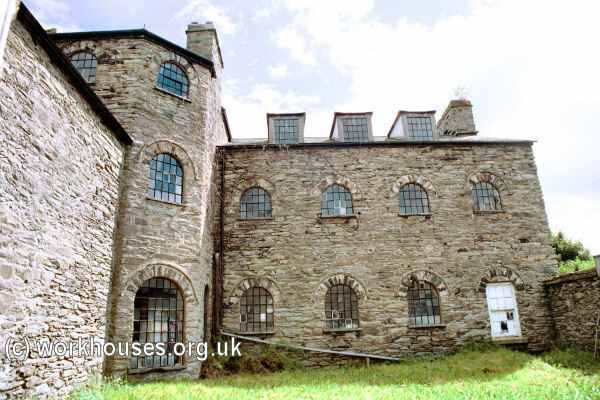 The old workhouse building was later used as a militia barracks, and then as a factory for bottled mineral water, for biscuits, and most recently for the manufacture and sale of clothing. The new workhouse building has now been demolished although some of the stonework has been re-used in the construction of the medical centre that now stands on the site. Bala 1869 workhouse site from the south, 2000. Meirionnydd Archives, Ffordd y Bala, Dolgellau LL40 2YF. Holdings include: Guardians' minute books (1837-1930); Ledgers (1837-1917); Deaths register (1946); etc.